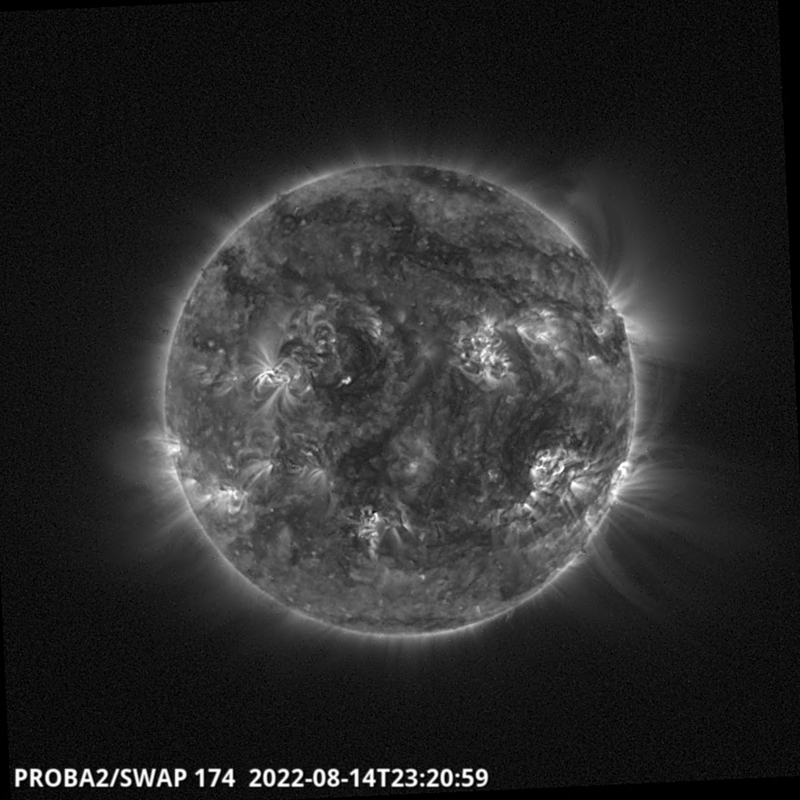 SWAP, an ultraviolet telescope that observes the solar corona from ESA's satellite PROBA2 saw yesterday’s eclipse from space. PROBA2 sits in a special orbit around the Earth, called a sun-synchronous dawn-dusk orbit, that follows the terminator, the dividing line between day and night. This means PROBA2 has an unobstructed view of the Sun 24 hours a day throughout most of the year. It takes about 100 minutes for PROBA2 to circle the Earth at an altitude of about 700 km. 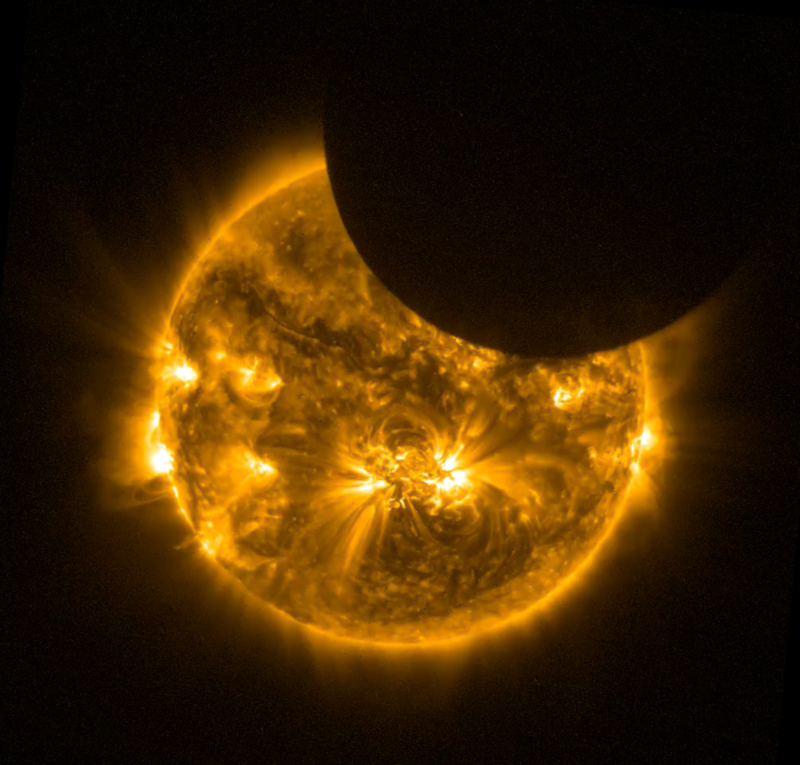 During the course of the movie, PROBA2 passed through the Moon’s shadow three times, meaning that it observed three separate eclipses, while someone stationary on the ground would have observed only one. In the movie you can see each of these three eclipses, but there are also other interesting things going on. Several times in the movie the image drastically dims. This actually isn’t because of the eclipse! It is because the satellite does not exactly follow the terminator, and so it occasionally it passes into the Earth’s shadow (which we call night on the ground!). 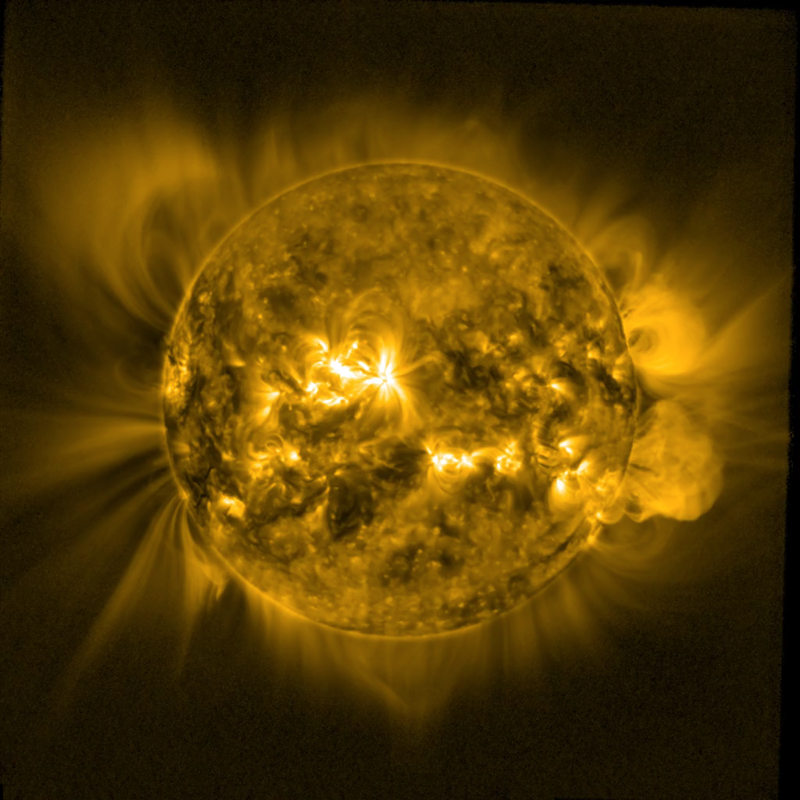 The picture dims because, as the spacecraft travels into the Earth’s shadow, some of the ultraviolet light from the solar corona is blocked by the atmosphere. 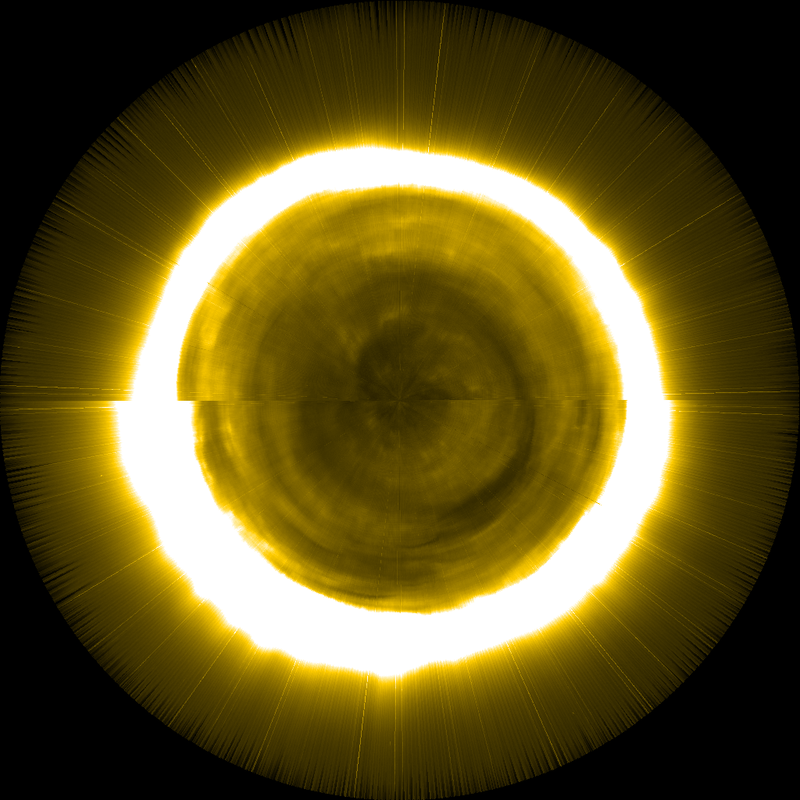 You can even see that the bottom of the Sun is darker than the top of the Sun, which, of course, is due to the fact that the atmosphere is denser the closer you get to the ground. Some of the frames in the movie are blurred. This is due to do normal motions of the spacecraft during its orbit: PROBA2 rotates by 90 degrees four times per orbit to keep its star trackers – devices that maintain the stability of the spacecraft by observing the fixed stars in the sky above it — pointed away from the Earth. 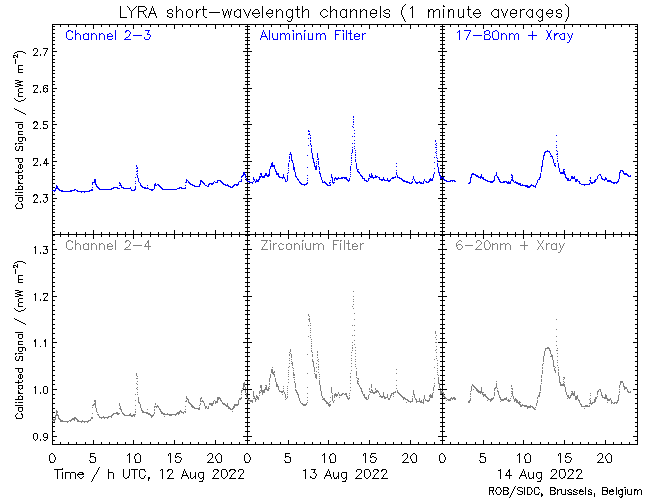 Finally, around 20:40 and 22:15, the images become more noisy with lots of bright streaks and small blobs. 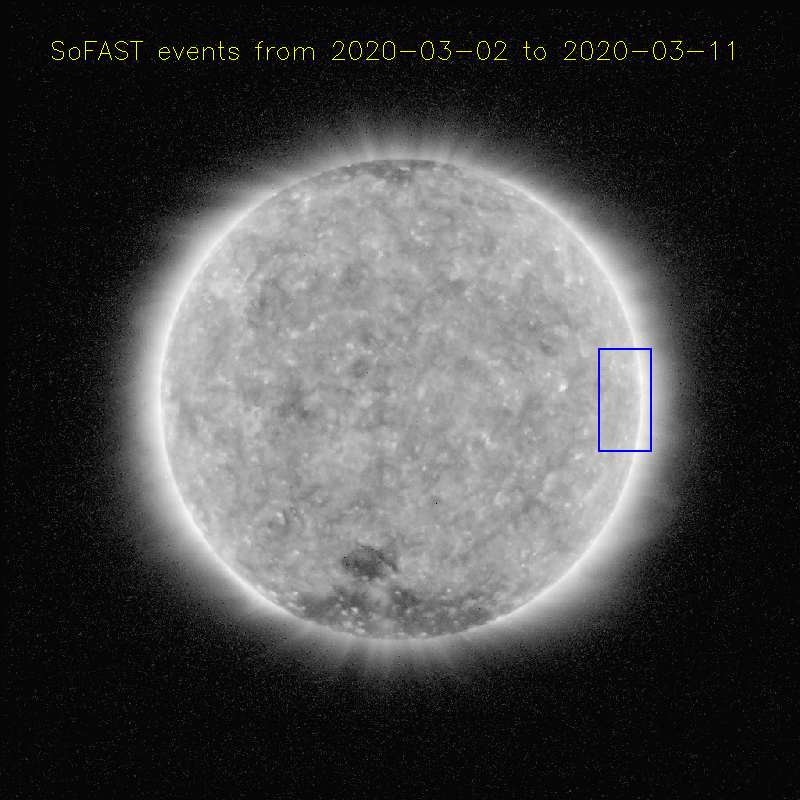 During this time, the spacecraft is passing through the South Atlantic Anomaly, an area of increased radiation above the Atlantic Ocean and eastern South America. High energy particles in this region sometimes hit SWAP’s camera, which causes those bright, streaky features. To view a movie of the eclipse, click the image above or follow this link.